Although Russia currently uses the Hmeymim airbase to fight radical groups that are trying to overthrow the Syrian government, this is not the real reason why Moscow needs a military base in the Middle East in the long term, defense analyst Sergei Ishchenko wrote for Svobodnaya Pressa. Tackling international terrorism is a short term goal, the former Navy captain maintained. The Soviet Union maintained its 5th Mediterranean Squadron that was established to counter the US Navy’s 6th Fleet from 1967 until 1992. Ishchenko described the flotilla that consisted of up to 50 warships and auxiliary vessels as a “force to be reckoned with.” The analyst added that the lack of air cover was the squadron’s only disadvantage.”Fighter cover during the Soviet times was absent. We did not have aircraft carriers until the 1990s. The Kiev-class aircraft-carrying heavy cruisers were outfitted with several Yakovlev Yak-38 strike fighters, but these planes were not really suited for air combat,” he explained. The Soviet Union reached an agreement to station warplanes in Egypt in 1967, but the arrangement lasted until 1972. 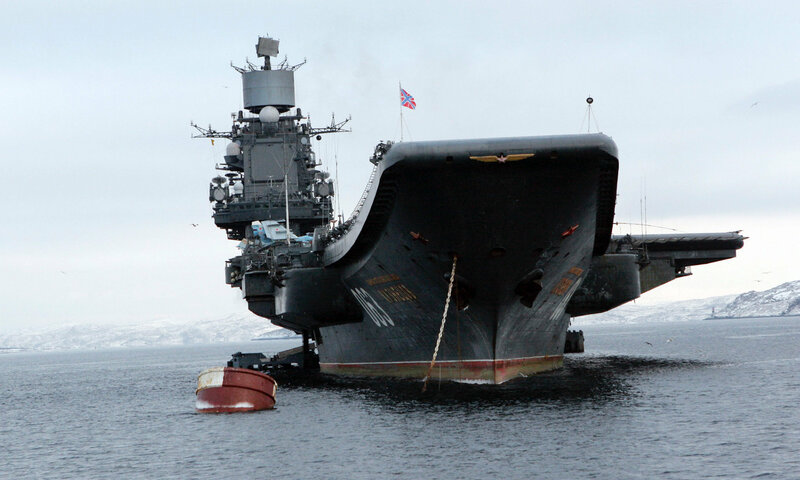 In the last two decades Russia’s only aircraft carrier Admiral Kuznetsov was deployed to the Mediterranean four times: in 1995-1996, 2007-2008, 2011-2012 and 2014. These missions lasted for a maximum of four months. This situation changed when Russia and Syria reached an agreement that allows Moscow to use the Hmeymim air base for an indefinite period of time free of charge. 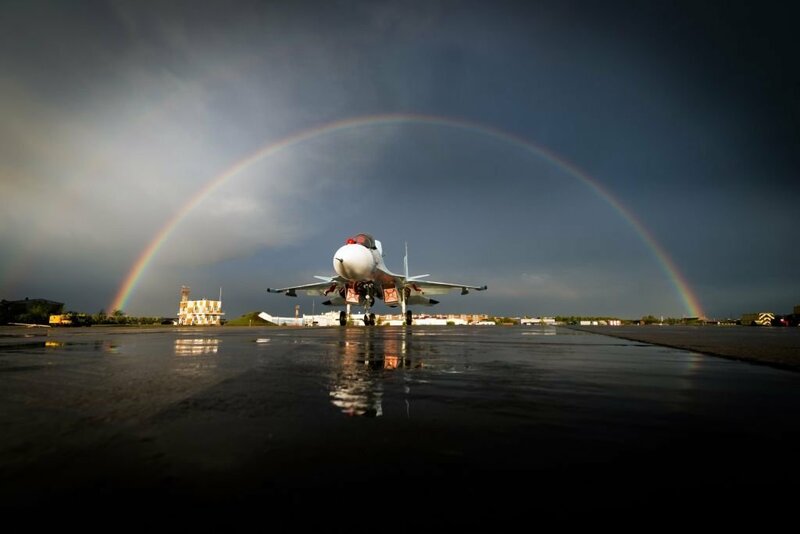 “Russia has deployed up to four Sukhoi Su-30SM supermaneuverable fighter aircraft to Hmeymim. They have been tasked with providing air cover for bombers and strike planes taking part in the counterterrorism operation in Syria,” Ishchenko noted. Russia, he added, apparently decided not to send more Su-30SMs to the region because there are no aerial adversaries that it needs to fight. If needed, additional deployment could be completed in approximately 24 hours. Ishchenko maintained that there are grounds to assume that Russia is already using the Hmeymim base to protect its ships in the Mediterranean. “For instance, the Tupolev Tu-142 maritime reconnaissance and anti-submarine warfare aircraft landed at Hmeymim in June. Clearly it did not land in Syria to fight against Islamists, but was busy performing its main task, searching for submarines of a potential adversary in the eastern Mediterranean,” the analyst explained. Russian air base Hmeymim in Syria is necessary to fight against militants’ positions on country’s distant outskirts, Russian Defense Minister Sergei Shoigu said on Sunday. VLADIVOSTOK The Hmeymim air base began operations in September 2015, when Russia started its counter-terrorist aerial campaign in Syria. “Our base is necessary to fight against militants on far outskirts. These [outskirts] are like a magnet, attracting supplies of arms from absolutely all territories,” he told the Rossiya-1 broadcaster. Syria has been mired in civil war since 2011, with government forces loyal to President Bashar Assad fighting numerous opposition factions and extremist groups. On February 27, a US-Russia brokered ceasefire came into force in Syria. Terrorist groups such as Daesh (banned in Russia), as well as Jabhat Fatah al Sham (previously known as the Nusra Front), are not part of the deal. The first deputy chairman of the Defense and Security Committee of the Federation Council (the upper house of Russia’s parliament), said that Russia plans to turn the Hmeymim base in Syria into a fully operational base. Russia plans to turn the Hmeymim base in Syria into a fully operational base, Franz Klintsevich, the first deputy chairman of the Defense and Security Committee of the Federation Council (the upper house of Russia’s parliament), said.”After an agreement on its legal status, Hmeymim will become a base of Russian armed forces, all the appropriate infrastructure will be built there and our servicemen will live in decent conditions,” Klintsevich said in an interview with the Russian Izvestia newspaper. According to the defense official, a permanent contingent of Russian Aerospace Forces (VKS) could be based at the Hmeymim airbase, located in the northwestern Syrian Latakia province. “The VKS unit could be increased in accordance with bilateral agreements, but so far, from the perspective of tasks at hand, the forces currently deployed there [at Hmeymim] are enough,” Klintsevich said. He stressed that nuclear weapons and heavy bombers will not be permanently deployed at the Hmeymim base in Syria as it is against international agreements. 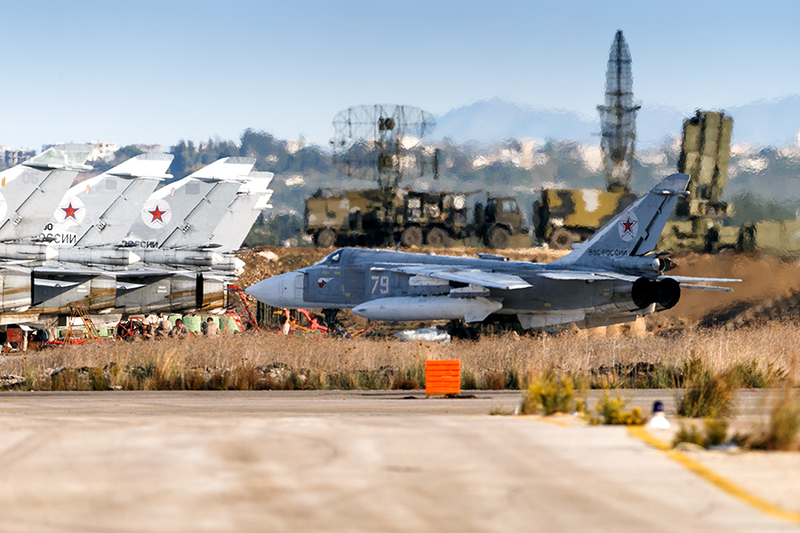 The Hmeymim air base began operations in September 2015, when Russia started its counter-terrorist aerial campaign against Islamic State (ISIL, also known as Daesh) jihadists, as well as other affiliated radicals, in Syria. Today (August 9th), Vladimir Putin submitted to the State Duma a proposal on the permanent deployment of the Russian air group in Syria. Moscow and Damascus in the last year agreed to the indefinite placement of the air combat group. The document has been approved by the Russian government, now the agreement must be ratified by the parliament. The text of the agreement states that Russia has been donated the base, will have at its disposal the airfield Hmeymim with all its infrastructure. In this period, the deployment of Russian aircraft and helicopters is not limited. Now it only remains to be determined the status of the areas immediately adjacent to the airfield, which will house the Russian military. Russian VKS has been based in Hmeymim since the beginning of the operation against ISIS. Chairman of the State Duma Defense Committee Vladimir Komoedov already said that MPs would support this agreement with Damascus. 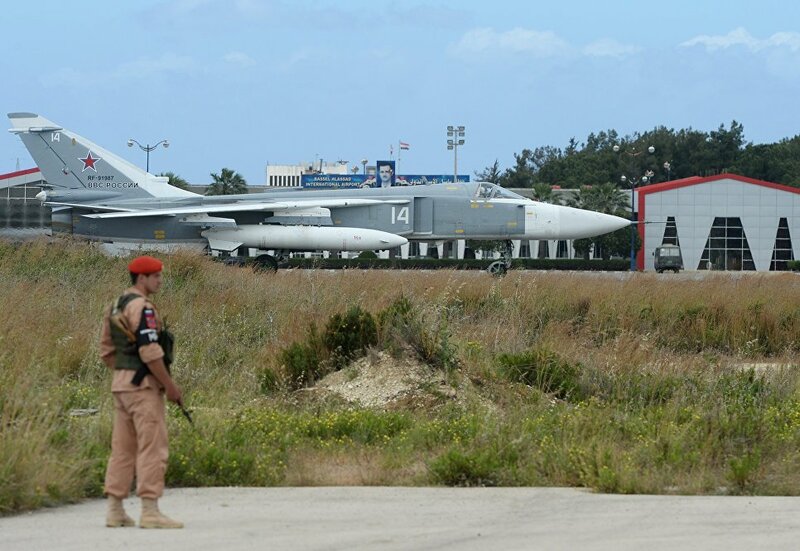 “Syria will be troubled for a long time, so it is necessary to keep the forces in combat readiness, as we have always kept Tartus as a supply point of our naval forces in the Mediterranean Sea, we are now adding the Hmeymim air base “,RIA Novosti quoted the deputy as saying. Komoedov added that Russia is ready to assist the Government of Syria in restoring the integrity of its state.